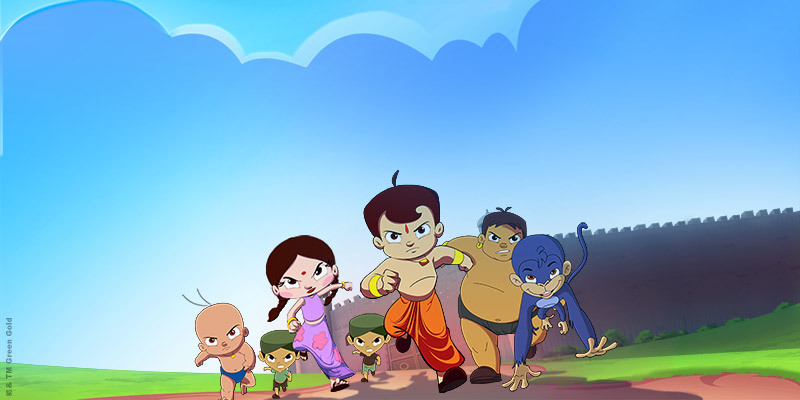 Green Gold's super hit series on Pogo 'Chhota Bheem' is the winner of the Best Animated TV Series award at the Golden Cursor Awards 2009 held in Mumbai, India. 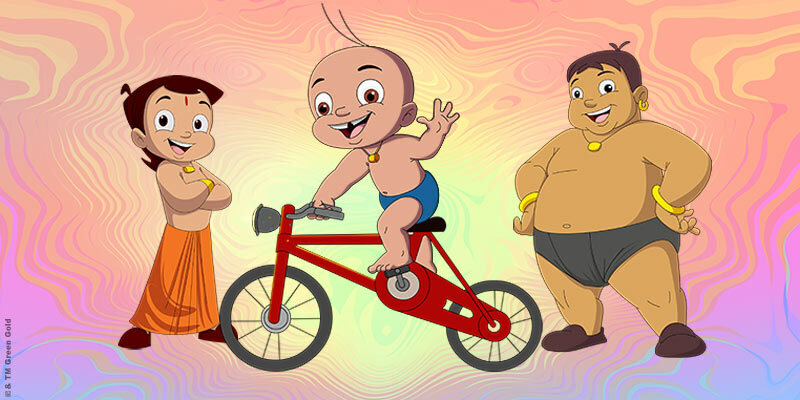 Chhota Bheem has become a phenomenon in India and it is the leading kid's favorite character (as per a study conducted by Ormax Media for the past 2 years - 2011 / 2012) and it is the only Indian kids show which is able to compete with the best of the world. It is very much universal in its theme and is being liked by all kids irrespective of their religion, region and so on. 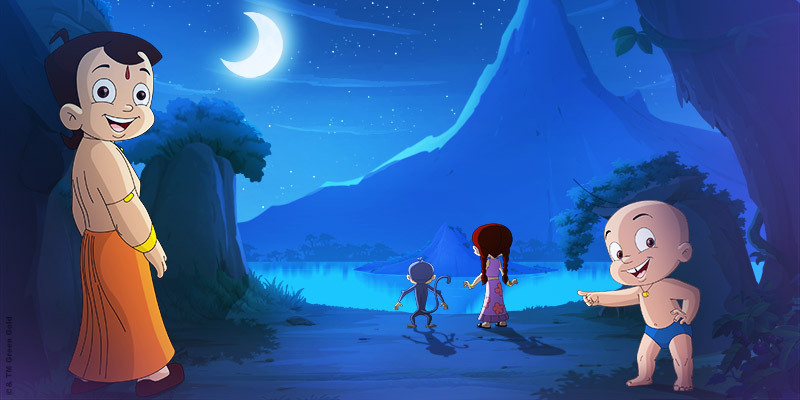 Bheem a 9 year old, brave, strong, intelligent, adventurous. 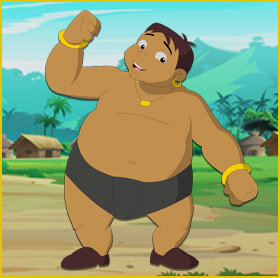 Bheem loves food, his weakness being Tun Tun Masi's delicious Laddoos, which gives him additional strength. Chutki is a 7 year old girl, graceful and intelligent. 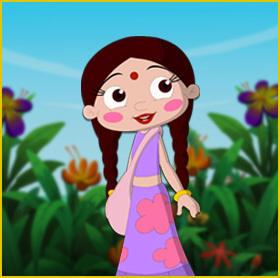 She is Bheem's closest friend and loves to accompany Bheem on his adventures. 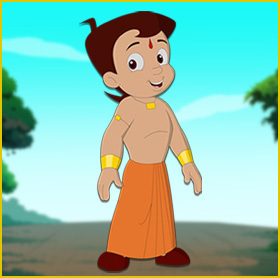 Raju is a cute 4 year old, who totally looks up to Bheem and idolises him. He follows Bheem everywhere and loves wrestling with him. Bheem is very protective of Raju. 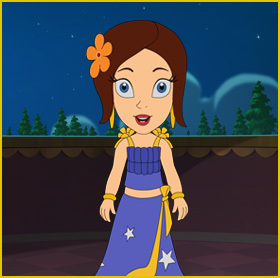 Princess Indumati or Indu, as her friends fondly call her, is the daughter of the King of Dholakpur. 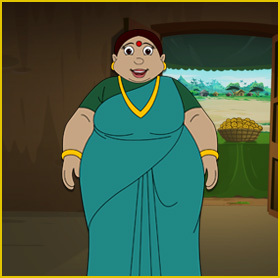 Jaggu is Bheem’s friend. 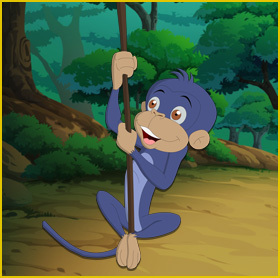 Jaggu is a talking monkey and is of great help to Bheem whenever they are in the jungle. He supports Bheem and always accompanies him in his adventures. Kalia or Kalia Pehalwan, is a 10 year old boy. 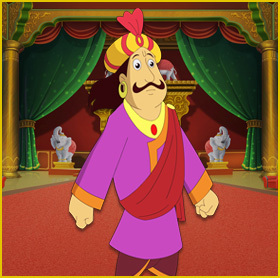 His character is based on the Legendary Duryodhyan and hence, wicked by nature. 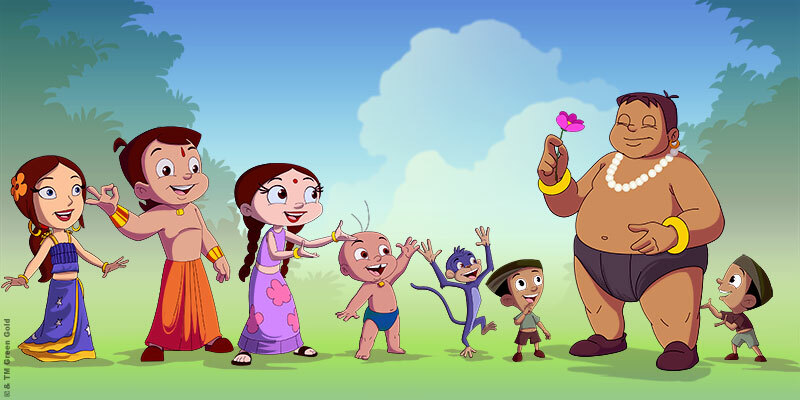 He is bigger than Bheem and dislikes him. 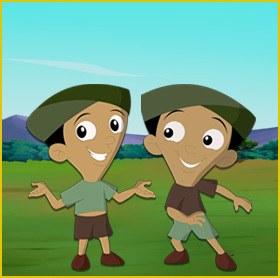 Dholu and Bholu are the cowardly followers of Kalia Pahelwan. They are identical brothers who dress and behave alike. They are slightly arrogant because of the effect Kalia has on them.